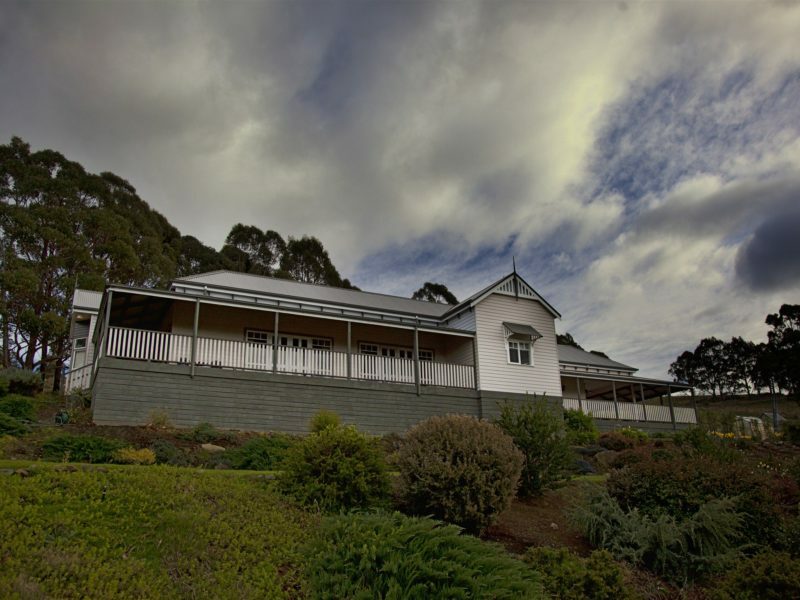 House on the Hill Bed and Breakfast is a beautiful federation styled house situated on eight acres of lush paddocks and sheltering bush. 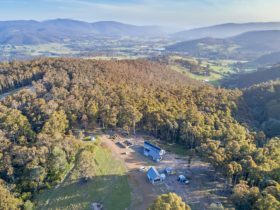 Stunning views looking toward the Huon Valley, Sleeping Beauty and the meandering Huon River. 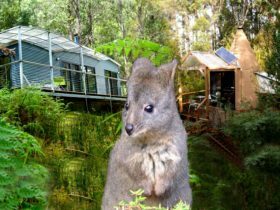 Wander in their rambling gardens among silver Birches, fruit trees and bulbs and eat sumptuous (free range) breakfasts with produce from their vegie patch, Huon Valley bakers makers and growers. 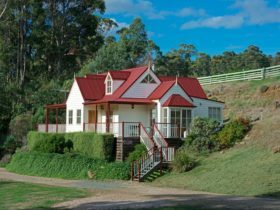 You feel a million miles away from the hustle and bustle of life while sitting on large covered verandas enjoying the magnificent views or a glass of wine in front of the log fire. Enjoy Dinner cooked by your hosts. 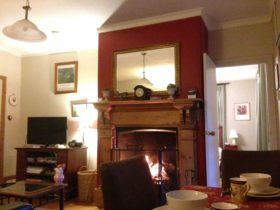 A truly wonderful and welcoming rural retreat. 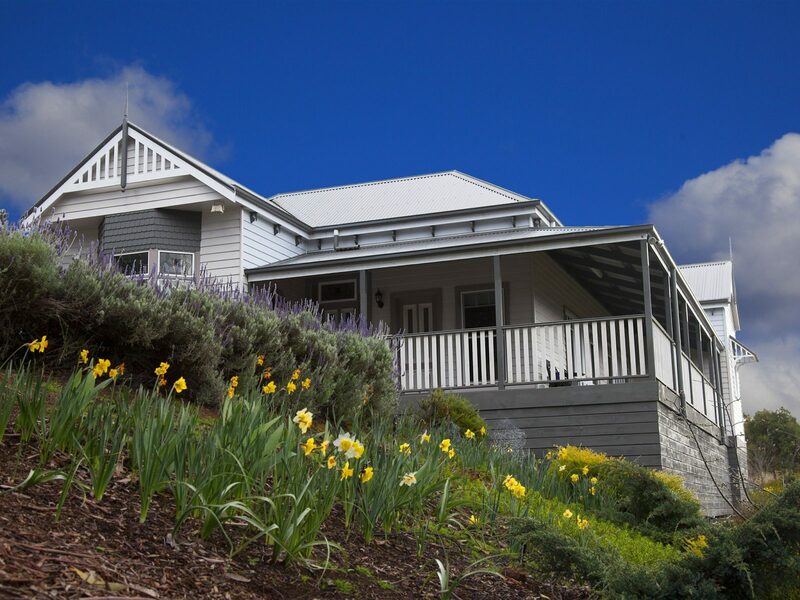 House on the Hill Bed and Breakfast has wheelchair access and is gay friendly. Suite 1 consists of its own private entrance, a queen bedroom with ensuite plus its own private guest lounge with floor to ceiling French doors leading onto the private covered veranda to take in the magnificent views. 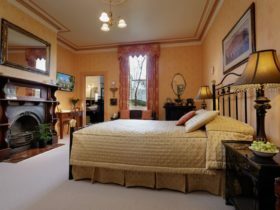 AUD180 per night or AUD175 for multiple nights in peak season, AUD175 or AUD70 for multiple nights in off peak season. This lounge has a television and DVD player as well tea and coffee making facilities. Suite 2 boasts a private wheelchair friendly entrance to three bedrooms and two bathrooms. 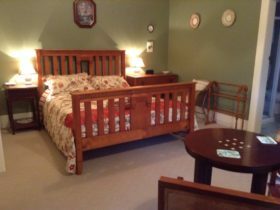 Bedroom 1 is a double with ensuite access to the large bathroom (wheelchair-friendly) Jack & Jill Entrance. Bedroom 2 is a Twin with single beds (sleeps two). Bedroom 3 is a Queen with ensuite. 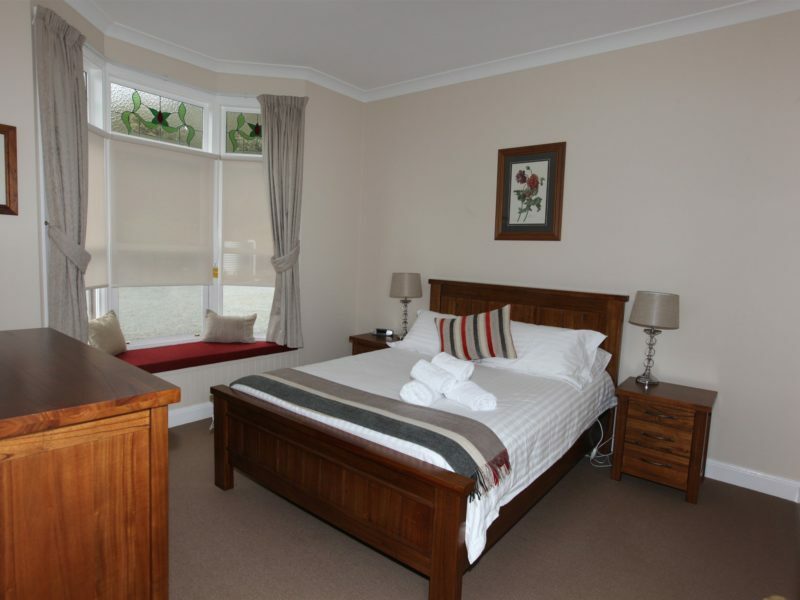 Breakfast is included and Suites have quality linen, electric blankets, televisions and DVD players. There is a large guest lounge to accommodate Suite 2 which has floor to ceiling French doors leading onto the covered veranda (wheelchair-friendly) with barbecue and outdoor entertaining area to enjoy and don’t forget the impressive wood burner in this lounge as well as tea, coffee making facilities, etc. Double and Twin Room with Shared Bathroom for this Suite only.